Everyone now knows the essence of a rainwater tank on his/her property. One of the key benefits is an endless water supply for your property. This knowledge has however not convinced everyone to get rainwater tanks for their property. One of the common reasons property owners give for avoiding tanks is that they do not want to affect the outdoor look of their property. This should, however, be the least of your worries. 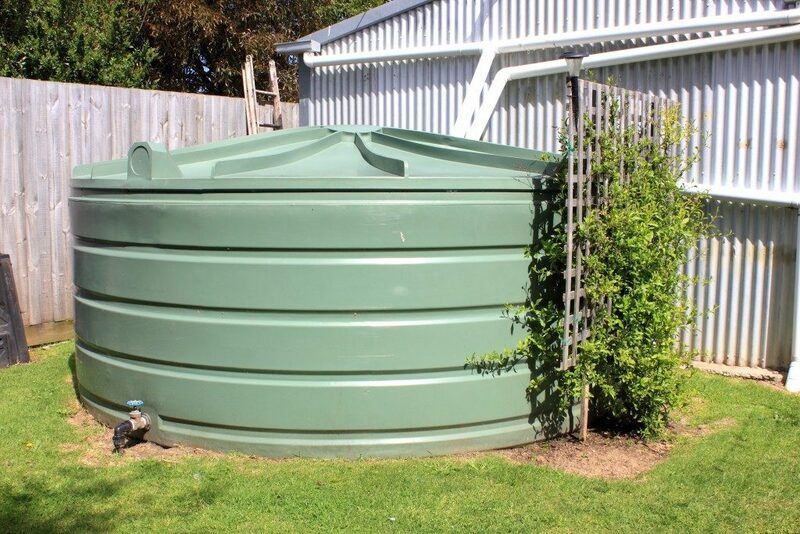 There are many options for rainwater tank installation which will not affect your property’s look. One of these is slimline rainwater tank designs. These will sit flush with your walls and have minimal impact on your property’s look as they remain mostly invisible. The following ideas will also enable you to install a rainwater tank on your property without affecting your landscape. Poly water tanks are the only ones which come in a broad colour range. To minimise the risk of your tank standing out, you can choose a colour which blends in with your landscape. The ideal colour choices would be different shades of cream, brown, green and other natural colours. This is among the easiest ways to camouflage your rainwater tank. The blind side of your building is the one which is rarely visited or mainly out of view. This in most cases is at the back or the side of your property. Unless your tank has extensive plumbing installations, the side of your home is a perfect location. Whichever location works best for you, ensure you check your local regulations first. Most local councils will have a minimum distance requirement from the boundary to your tank. If your building has no blind side, then an underground or underdeck installation is ideal options. Slimline water tanks are the only ones who work for underdeck installation since they snugly fit in most spaces. It is also easier and costs less to install a poly water tank underground compared to a concrete tank. You will need to dig a hole whose size corresponds to your tank then reinforce it before putting your water tank in to prevent crushing of the tank by seismic forces. You can screen your tank with slats, lattices, and fencing to keep it hidden from view. This also works as a design element for your landscape depending on the design you choose. Additionally, you can paint the lattices, slats or fence to match your landscape of plant climbing plants around them. If you consider yourself artistic or have children who love painting, a mural is your best choice for hiding the tank. The mural’s painting can also turn into a fun day for your family. The inclusion of a mural allows you to personalise your tank’s disguise. With these options, you can enjoy a limitless water supply without an impact on your landscape. Before settling for one of the above ideas, get an expert’s opinion. This will ensure that the option you choose does not affect your water tank’s durability or performance.